Owning a dog isn’t cheap. Recent research shows that owning a dog will cost you up to £31,000 during its lifetime. This large amount is enough to force you to become a little thriftier with your spending habits – finding tips and tricks to make everyday life just a little bit easier (and cheaper). They may not seem like much, but applying these simple life hacks to your daily doggie life will make a difference as far as cleanliness, time efficiency and your dog’s well being and safety are concerned. 1. If your dog eats too fast or you’re concerned about bloat, there’s no need to buy an expensive slow feed bowl. Place a large plastic ball in their regular bowl to slow them down. 2. Cover your dog’s bed with a fitted baby cot sheet. 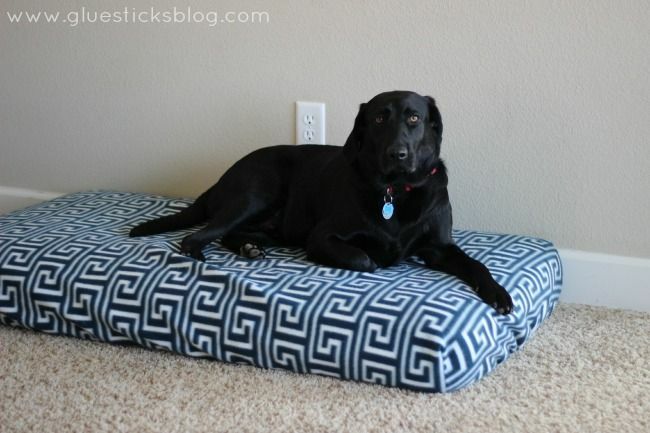 This will make it easier to shake off fur and keep the bed clean, therefore extending the life of the dog bed. 3. How many times have you hidden medication in your dog’s food bowl only to find it left after everything has been eaten?! Put worming pills or medication inside a slice of sausage. We guarantee your dog won’t notice and will swallow it right up. 4. If you’re looking to tire your pup out with minimal effort from your side, stand on a hill and play catch with the ball downhill. 5. A carabiner on your dog lead handle has many great uses. 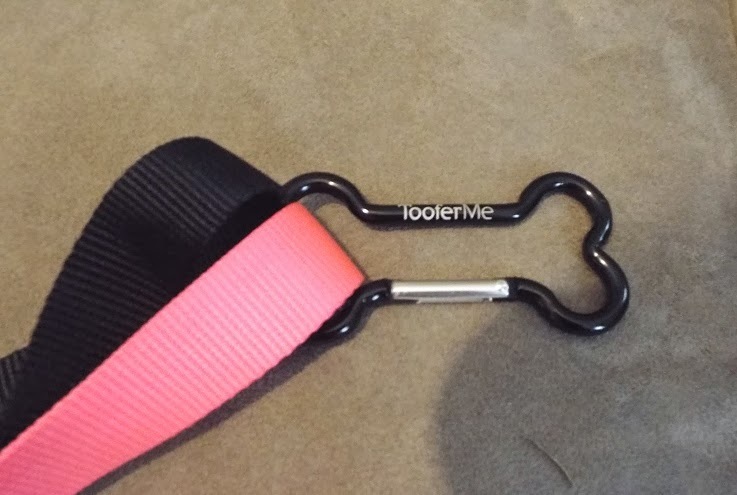 Use it to make a belt for a hands-free walk, clip multiple leads together, attach a treat pouch, poop bags, house keys and more. 6. Use a window cleaner squeegee to get dog fur out of rugs, carpet, sofas and car seats. You’ll be amazed at how much it removes. 7. Put a bathing cap on your dog during bath time. Water in your dogs ears and eyes can cause infections, so this will keep their inner ears dry, and shampoo out of their eyes. 8. A cat den makes a handy doggie toy box from which your pooch can pick out what they want to play with next. No mess all over the floor, and you can hide it away in your furniture! 9. Forget about putting a gross, slobbery and muddy ball back in your purse or pocket: carry around your dog’s favourite ball in a treat pouch clipped to the lead (or see number 5 above). 10. 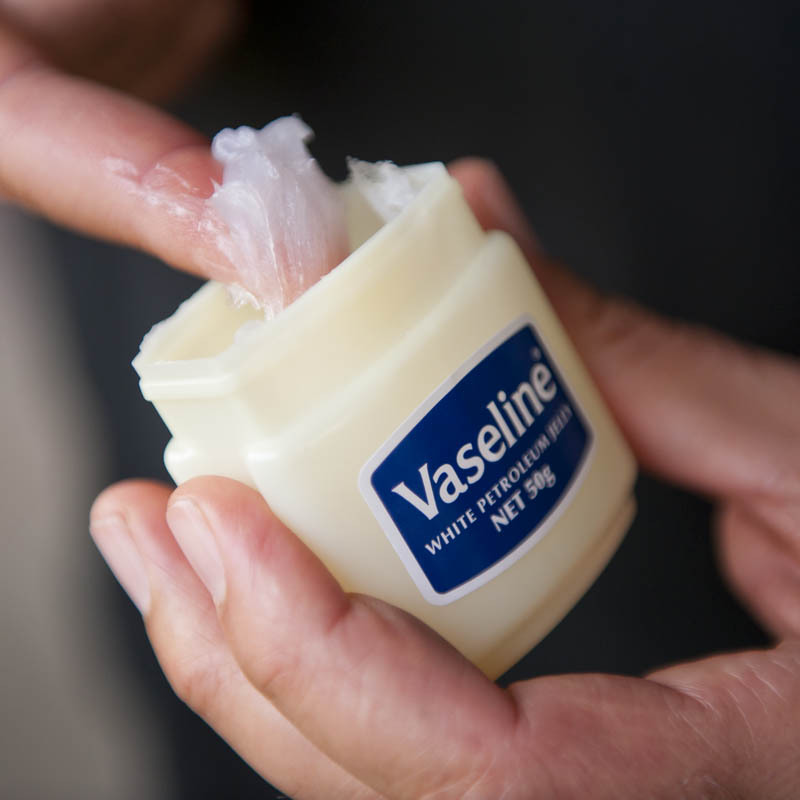 To protect your dog’s paws on long hikes or from snow and frostbite, apply a thin layer of vaseline on their paw pads. To make sure they don’t lick any off, clean your dog’s paws with a warm washcloth afterwards. 11. Keep the back of your car fur and damage free by making a doggie hammock with a fleece blanket. Cut out a small hole to buckle your pooch in with a doggie seatbelt harness. 12. Keep your dog’s stuffed Kong toys in a mug or a plastic cup when freezing them to avoid the mixture from leaking all over your freezer before it solidifies. 13. 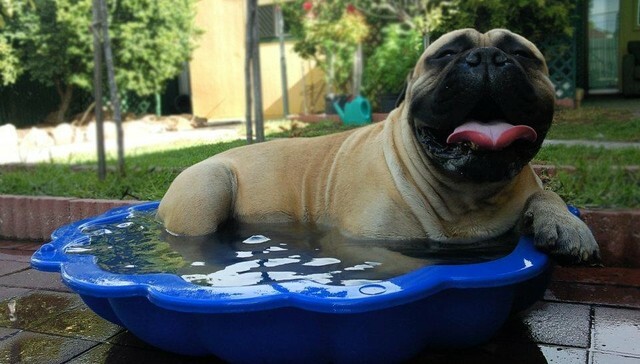 Kiddie pools are the perfect size for dogs and are a great way to keep them cool in the summer months. We suggest getting a hard, plastic one as they are more resistant to claws!